Born at Manila, Ontario on 28 December 1850, he received his education there and spent some years in the flour milling business. In 1878 he came to Manitoba and engaged in the machinery business, later branching into flour milling and grain. By 1892 he transferred all his time to milling and grain, and founded the firm of Robert Muir & Company. 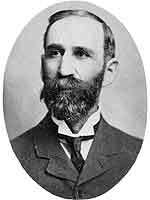 He served a term as Winnipeg alderman in 1892. He was an active member of the Winnipeg Grain Exchange, serving as its president in 1898. In 1877 he married Elizabeth Ruth Richardson of York County, Ontario. They had two sons: Robert R. Muir and Arthur R. Muir. Muir died in June 1908. He is commemorated by Muir Road in Winnipeg.